Birthdays here… Ready or Not! With my son’s birthday here already I have stepped it up in to high gear to get ready for his party. 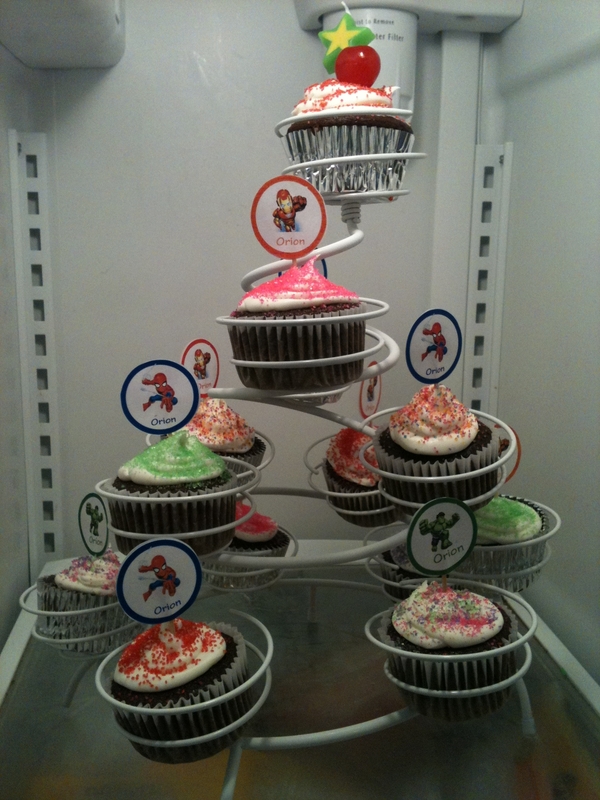 Luckily, I still have one week left to plan for his Phineas and Ferb party, complete with Spiderman cake. What can I say; he is a boy who knows what he wants! But since his birthday is actually today I decided to whip up some cupcakes so we could celebrate with him on his birthday. What I came up with are simple chocolate cupcakes with vanilla frosting and to top them off I made these superhero cupcake toppers. Very easy to make right here at home! The whole thing (24+ cupcakes) cost me less than $3.00. It did not take a lot of time and it did save me a lot of money! The proof is in the pudding… or should I say the cupcake! This is proof you dont need to be a baker to make fun cupcakes! You can top your cupcake with any image! It is a snap!You can top your cupcake with any image! It is a snap!